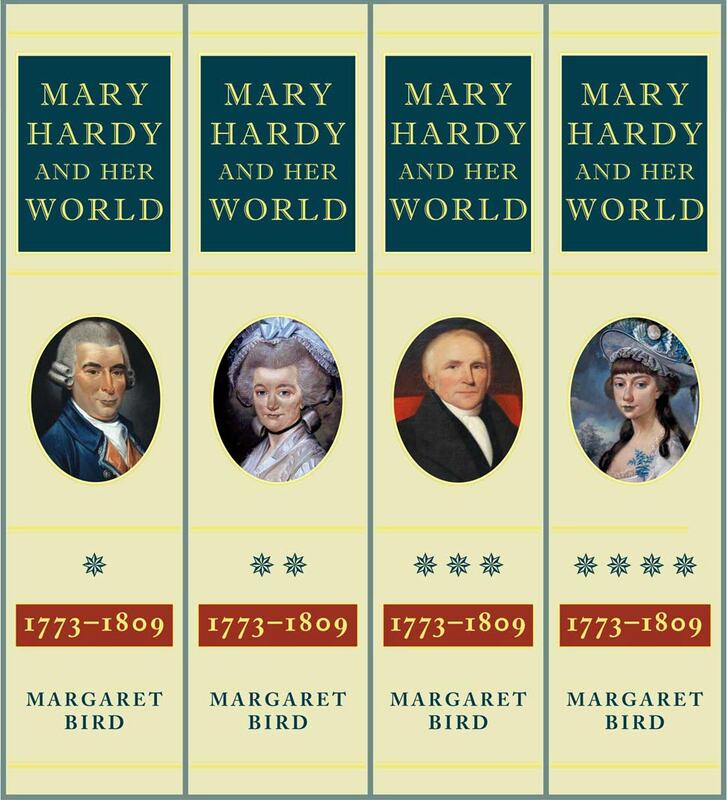 The four volumes Mary Hardy and her World 1773–1809 will be published by Burnham Press on Thursday 23 April 2020. The event will mark the culmination of nearly 32 years of continuous research and writing. Each volume may be purchased separately or as a set of four. Prices and ISBN numbers will be announced nearer the time. What prompted me to embark on this demanding mission? It began more than a year before the Berlin Wall fell; Mikhail Gorbachev and Margaret Thatcher were still in power. The internet, worldwide web and e-mails did not exist. Google was not founded until more than ten years after I first shouldered my burden . . . I had no idea of the enormity of what lay ahead. An article by a volunteer wherry skipper, Michael J. Sparkes, was the inspiration for Margaret’s work. Writing in the journal of the Norfolk Wherry Trust in 1988 he had published extracts from Basil Cozens-Hardy’s highlights from the diary (Norfolk Record Society, 1968). I felt an immediate bond with this diarist. She lived at Coltishall, a village I knew well as the home berth of my parents’ boat on the Broads from 1948 to 1973. 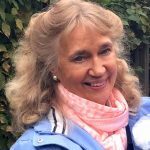 Mary Hardy moved to Letheringsett, near the sea, a place I had come to know through friends from 1967. I could visualise the setting for her life and work. In the Introduction Margaret pays tribute to the hundreds of people who have helped her on this 32-year quest. Their names are listed in each of the volumes. The work could not have been completed without their help. 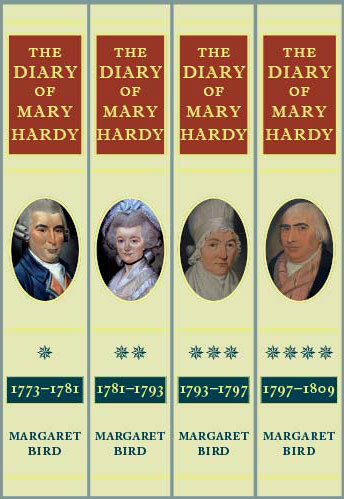 Mary Hardy began her diary on 28 November 1773. That winter’s day her husband and six-year-old son Raven sailed 32 miles downriver to Great Yarmouth either by wherry or by keel. She stayed behind with three-week-old Mary Ann and her son William, aged three. She went to Coltishall Church for the first time since the safe delivery of this her last child. The images at the top of each web page echo a theme from the diary. The bluebells heading this news item bloom every April against the south wall of Coltishall Church. They face the sloping ground to the river and the Hardys’ home where the diary was written. Mike Sparkes has skippered the wherry Albion since 1991. As a tribute to the Norfolk Wherry Trust connection the banner on the main page for Mary Hardy and her World shows the helmsman’s view from under Albion‘s majestic black sail.